We now are in the beginning of August, which means it’s the startup of the holiday/preparation cluster. After back-to-school shopping comes Halloween, tightly followed by Thanksgiving, and before we know it, Christmas! If you’re starting to gather present ideas now, you’re sure to find that some people are just impossible to shop for. Instead of buying a stack of gift cards (hoping they’re for stores your friends shop at), try making some homemade Christmas gifts. Pick a few items off this list, stop by your local crafts store for supplies, and get a head start on your Christmas presents. 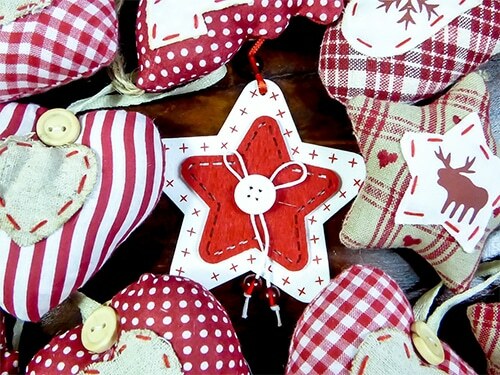 Ornaments are a fun and personal option for DIY Christmas gifts. If you have a knack for stitching, you can peruse the internet for downloadable patterns. If you’re more talented at drawing than sewing, you could purchase plain, colored bulbs and paint markers to customize some themed ornaments. With a little digging at craft stores or online, you may be able to find clear plastic or glass bulbs, perfect for filling with baby items for a “Baby’s First Christmas” ornament, or maybe a dried bouquet flower for an “Our First Christmas” ornament. 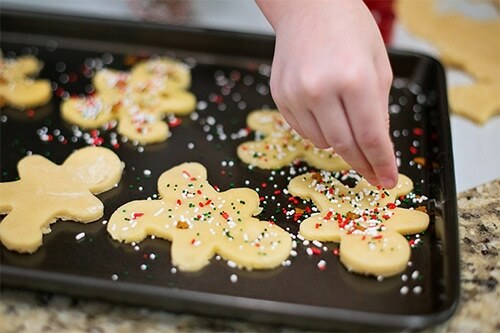 For another idea, find a good recipe for cinnamon dough ornaments—they look like gingerbread men and make your tree smell festive. You could also find kits to make dog paw or children’s hand prints. 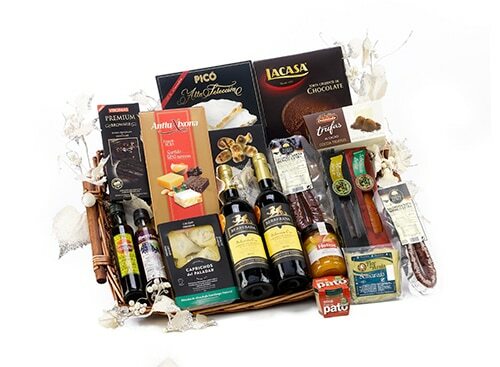 Make good use of your jumpstart on Christmas gifts by making your own DIY gift basket. Whatever the interest of your loved ones, start gathering items now so all you have to do is put a bow on it in December (just be sure to be aware of expiration dates on food items). Start by choosing a theme, such as a spa basket, and fill it up. For example, if your theme is a movie night basket, throw in some DVDs your friends might like, popcorn, candy, etc. This is an easy and thoughtful DIY Christmas gift option, but if you do need a shortcut, check out our pre-made gift baskets. For co-workers or friends from school, homemade jewelry is the perfect DIY Christmas gift. It’s just enough to be appreciated, but won’t be too much if the person didn’t give you a present. Try looking online for ideas on bead patterns, or for wire jewelry tutorials for a more ambitious option. This is a very inexpensive gift idea, with endless style possibilities. Homemade bracelets are also ideal stocking stuffers for kids, nieces, and nephews. Who doesn’t love being gifted a plate of homemade cookies? If you have a large group of people to find presents for, scour your cookbooks or websites for your favorite holiday cookie recipe. Just make a large batch of dough now, wrap it up or store in a container, and toss it into the freezer. Once December comes, you can portion out the dough and bake it, and then you’re done! If you’re not so confident in your baking skills, try making homemade vanilla extract to give to the baking whiz in your life. However, if you do freeze cookie dough and happen to accidently eat it all yourself, which is completely understandable, try these chocolate covered Oreos and have them delivered to your friends’ doors. 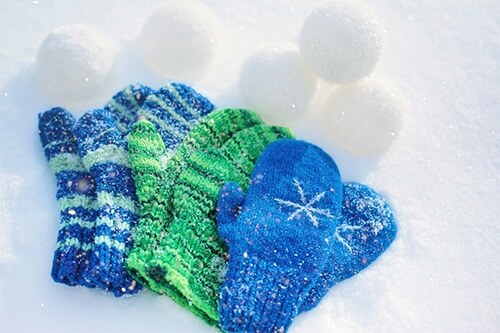 If you have knitting skills (or you’re willing to learn), a pair of gloves or a scarf shows how much you care about your loved ones and their little hands. Find tutorials online and yarn in their favorite color, then start knitting! For an ambitious gift, try making a sweater or a blanket. If it doesn’t work out, that’s okay. Here’s a monogrammed cashmere scarf instead. 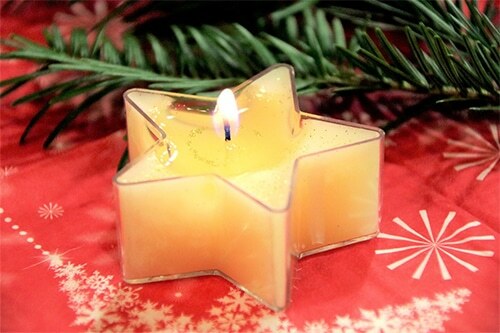 Once you gather a few supplies, custom candles can be suited to anyone’s preferences and décor themes. All you need is a heat-safe glass container, soy wax, candle wicks, and a few crafting scented oils. You can also combine scents for the perfect custom candle, such as pairing a floral with a fruity smell, or a combination of holiday spices. Get creative and alternate red and white peppermint-scented wax in a clear, cylindrical container for a candy cane effect. Lastly, the perfect family DIY Christmas gift is a photo album filled with old and new photos. Especially with most current photos only being stored digitally, your loved ones will truly appreciate physical copies of their memories, all bound in a beautiful book. Start developing and gathering photos now to make sure you don’t miss any, and arrange them later for the most personal and heartfelt gift. 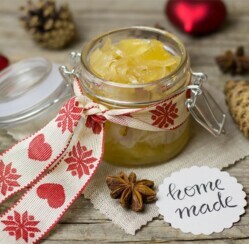 Have you made DIY Christmas gifts in the past? Share this post and let us know what your loved ones thought in the comment section below!